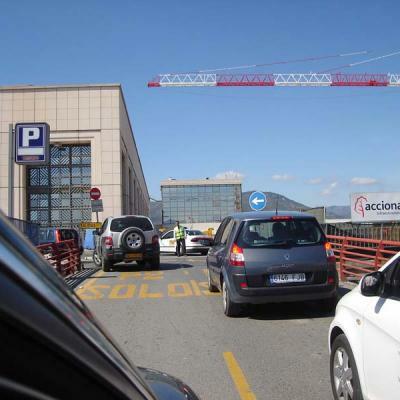 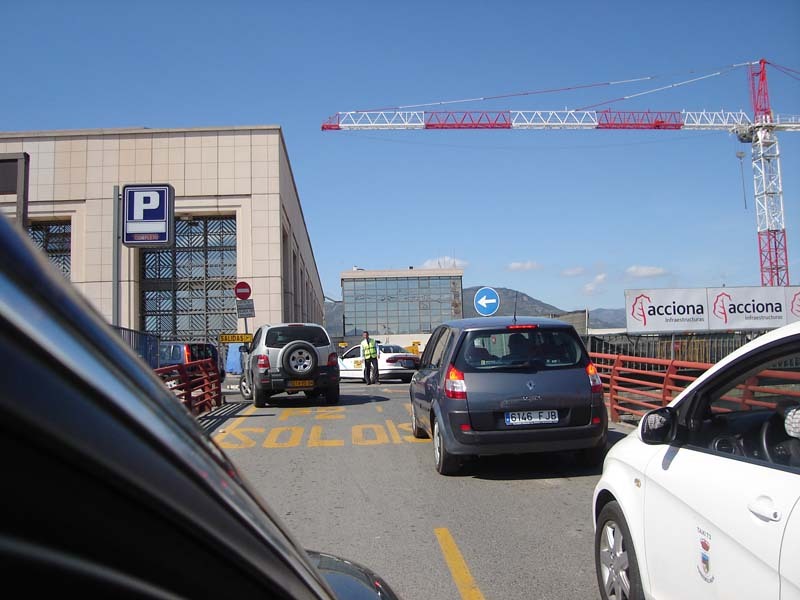 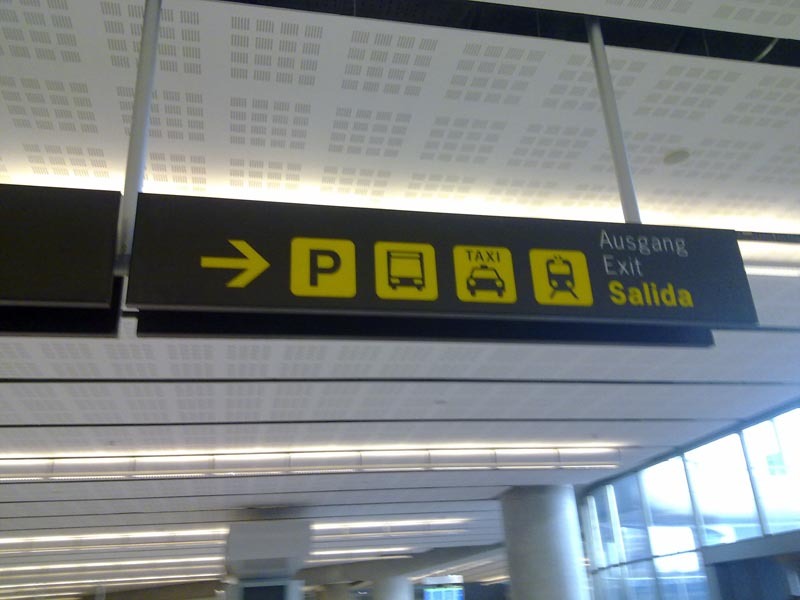 Road access to Malaga airport, picture with vehicles and parking signal. 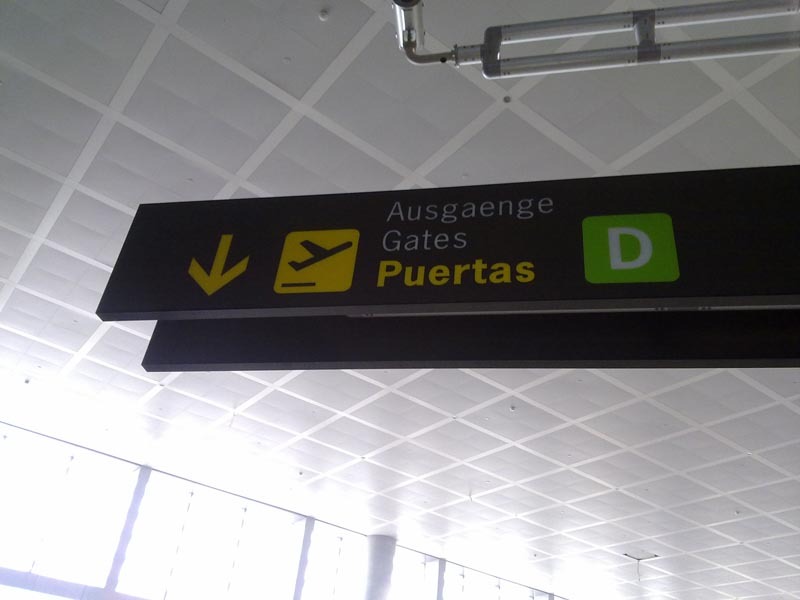 Picture of departures signal from Malaga airport. 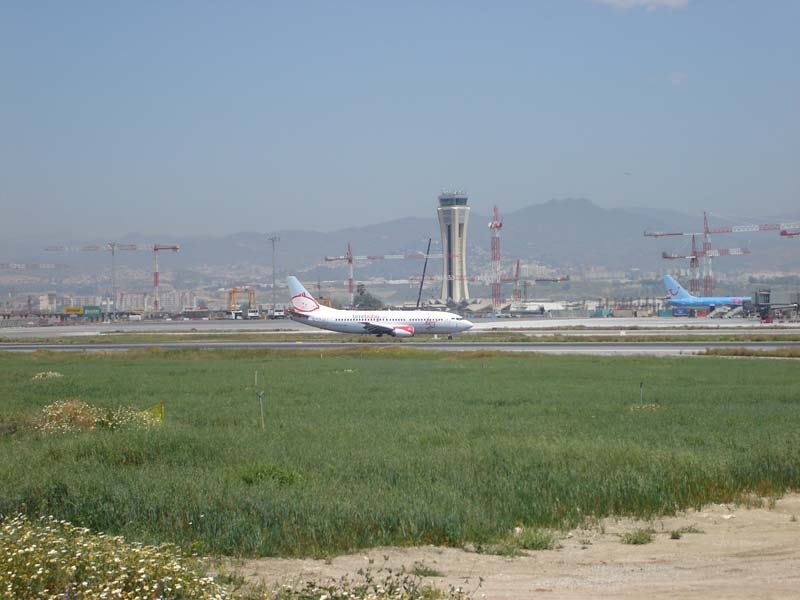 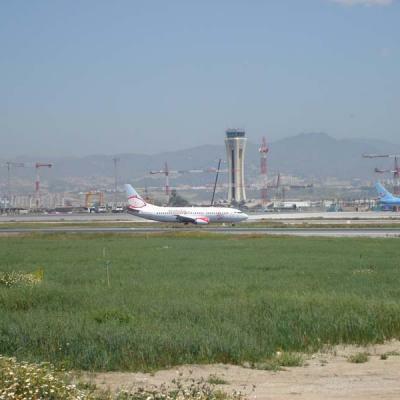 Picture of flight takeoff at Malaga airport in a sunny day. 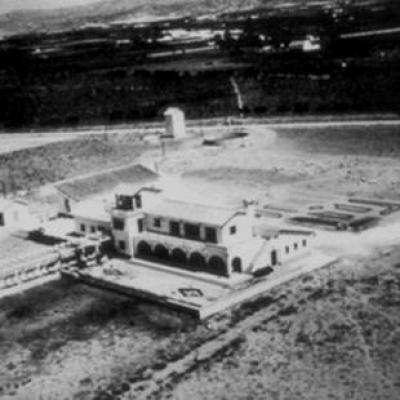 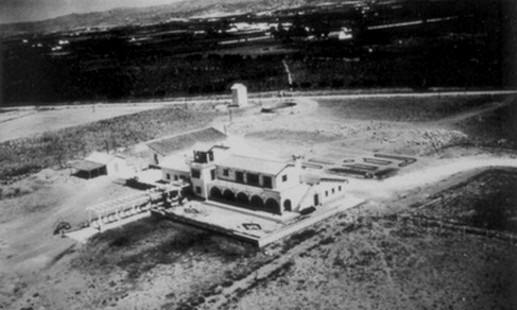 Aerial picture from Malaga airport at 1948, the airport was a little bit different than actually. 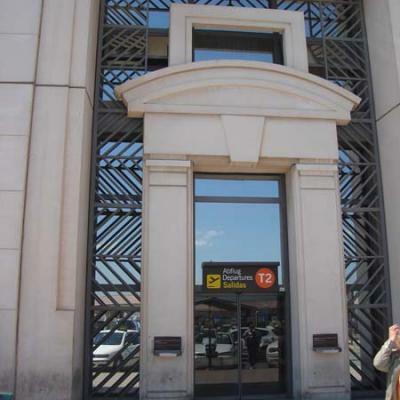 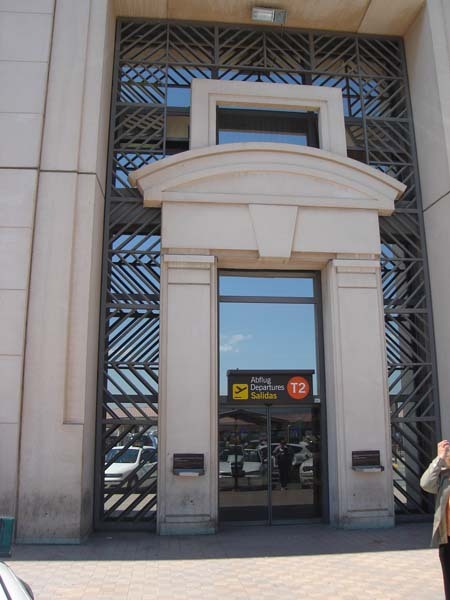 Picture of main door of the terminal 2 at Malaga airport, you must however pass security checks from T3. 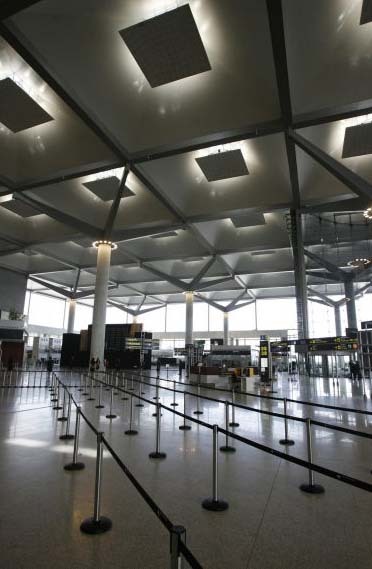 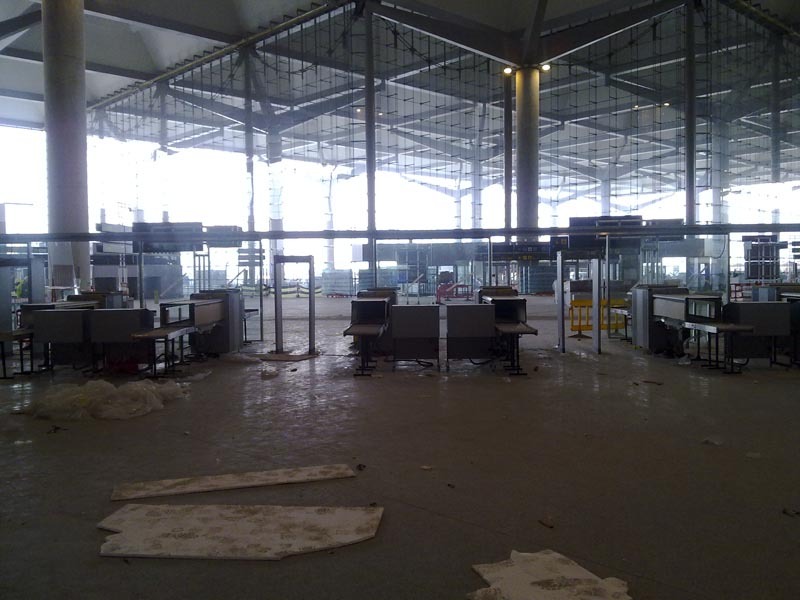 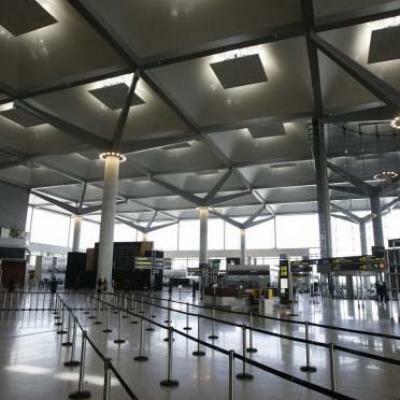 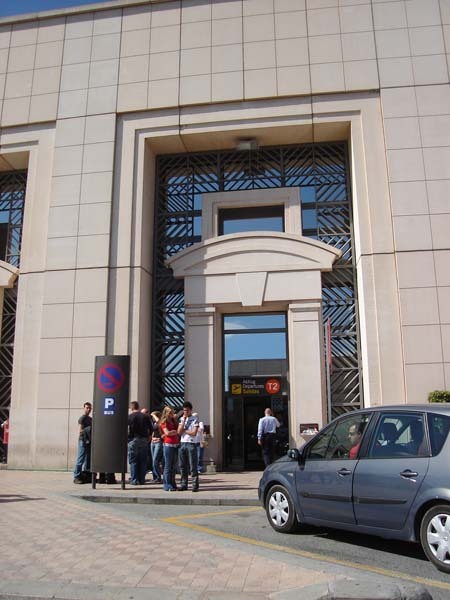 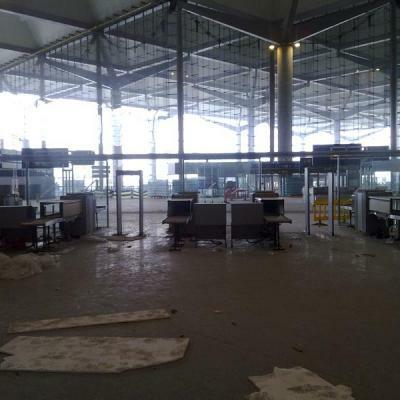 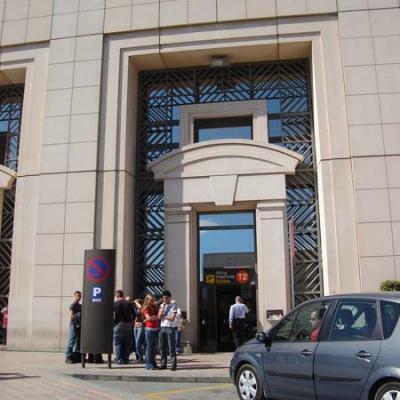 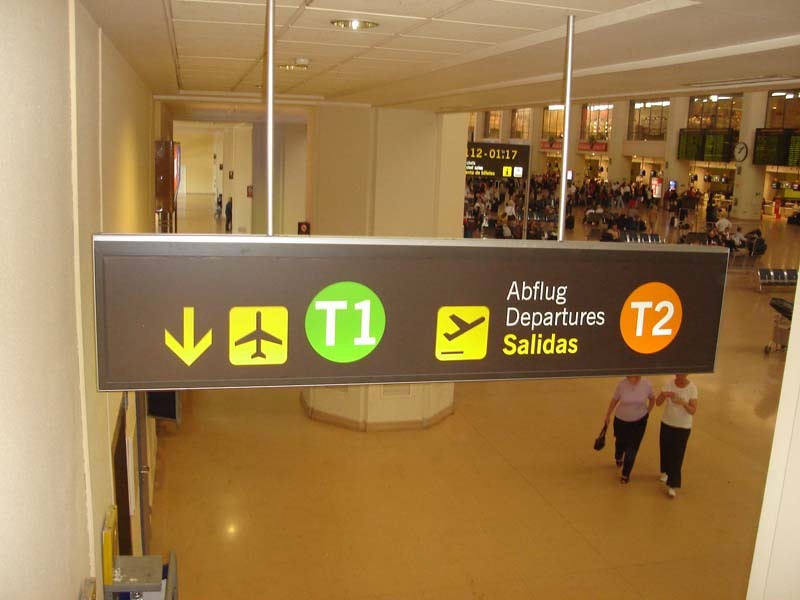 Picture of main entrance of the terminal T2 at Malaga airport, you must however pass security checks from T3. 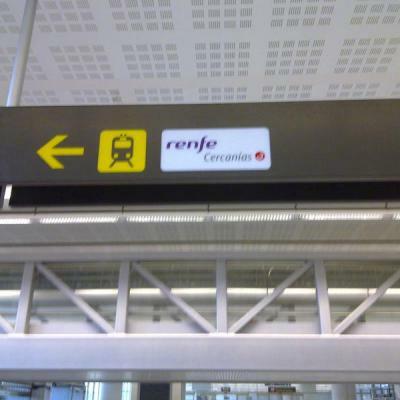 Picture of the signal you must follow when searching for the train station. 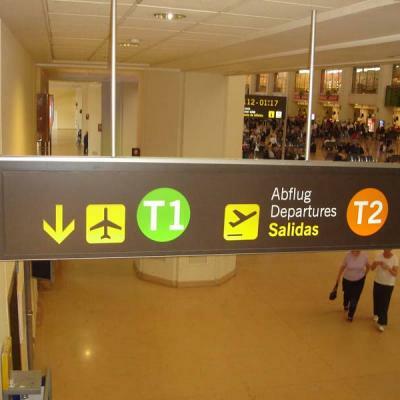 New terminal T3 picture from Malaga airport. 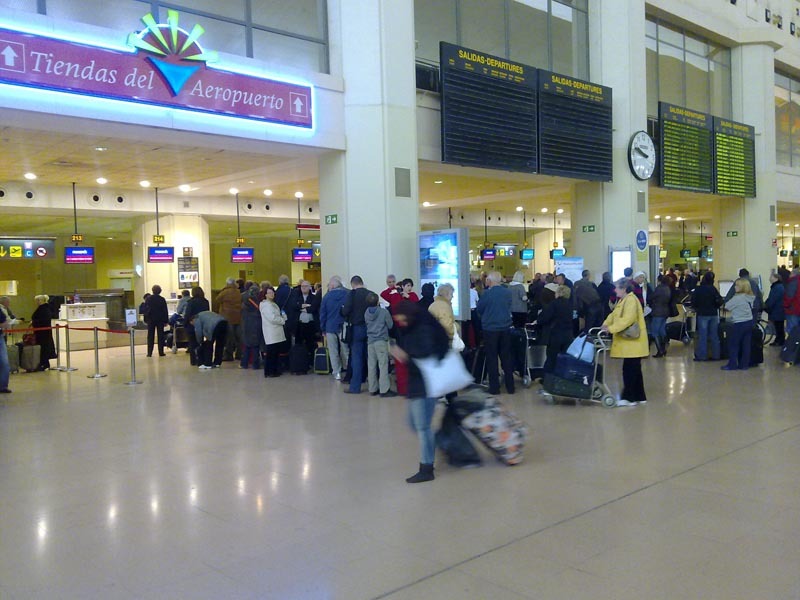 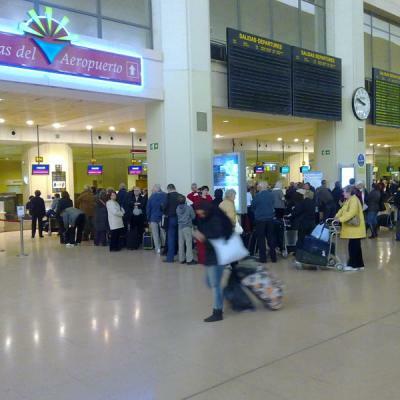 Picture of the queues of people waiting to checkout at Malaga airport, old terminal T2. 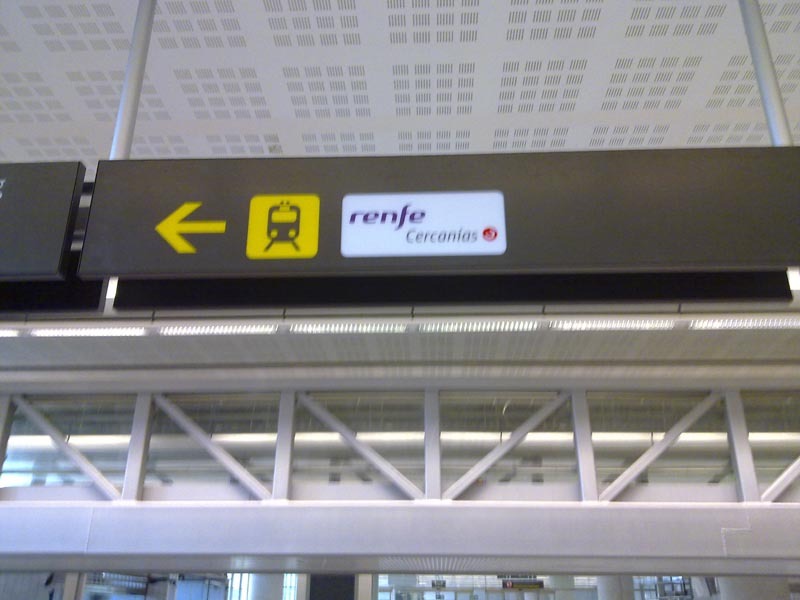 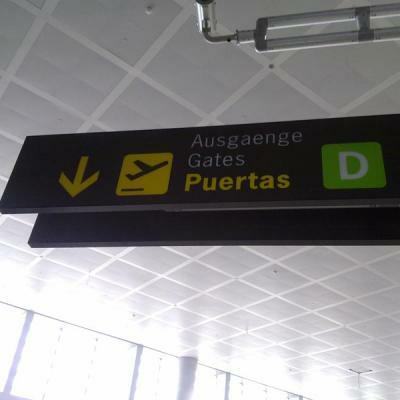 Picture of "Gates" signal at Malaga airport, its easy to find your gate if following the signals. 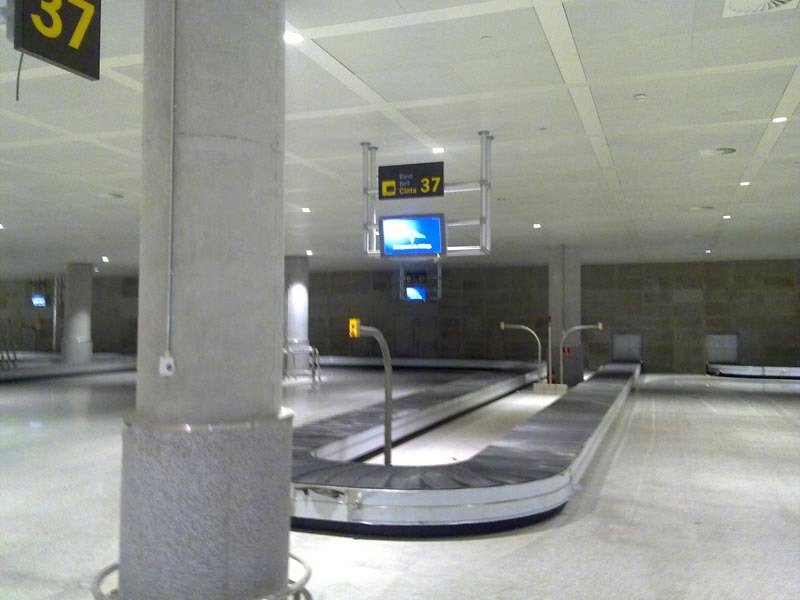 Picture of the new luggage collection at Malaga airport T3 terminal. 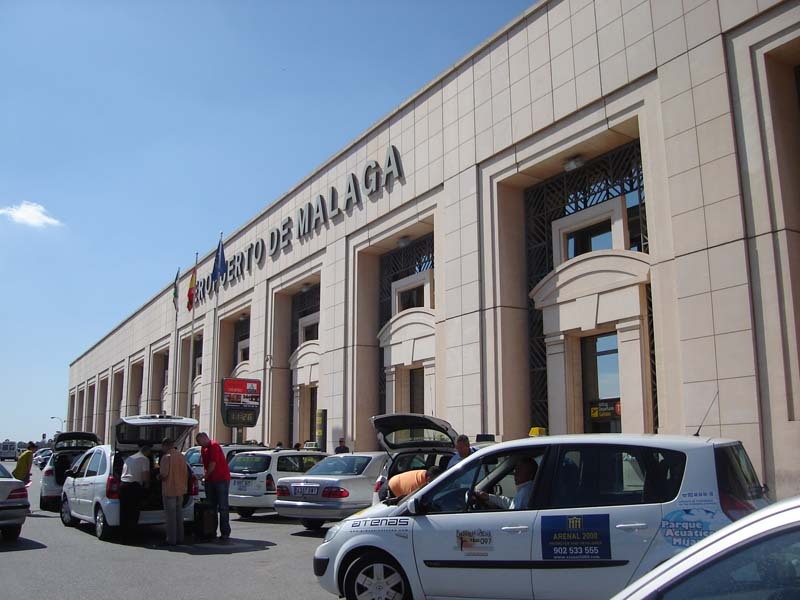 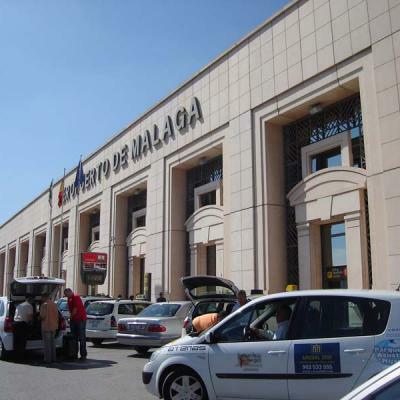 Old picture of taxis waiting at Malaga airport main entrance. 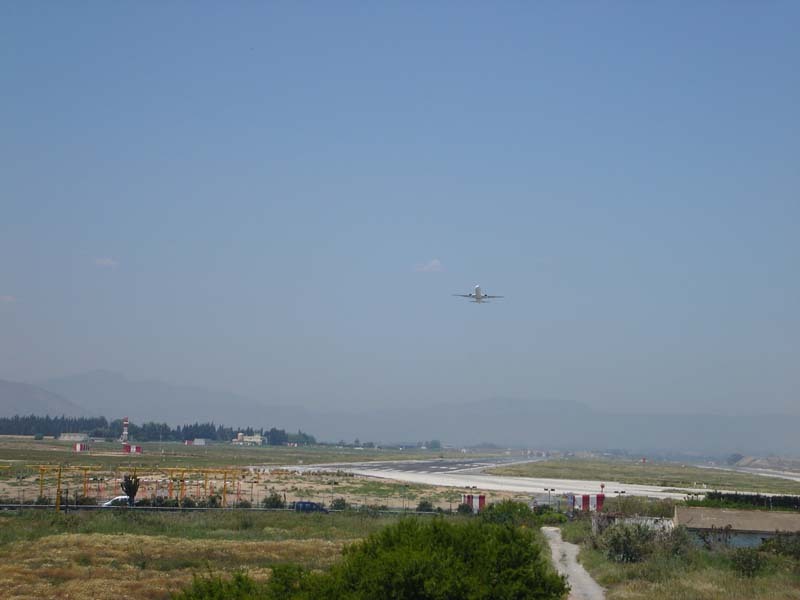 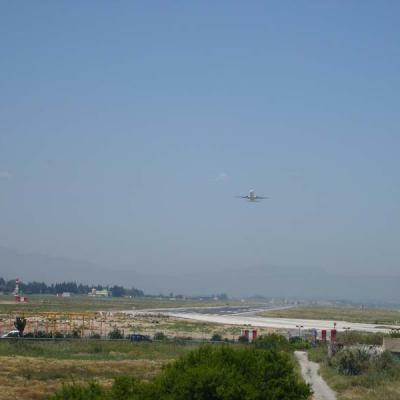 Picture of a plane landing at Malaga airport in a sunny day. 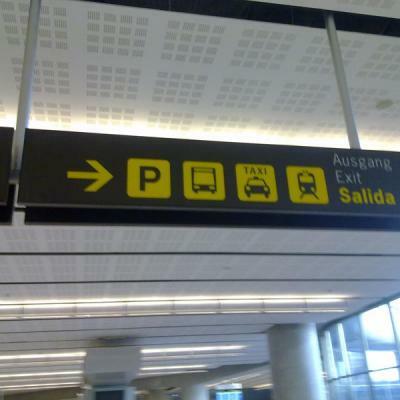 Picture of one of the many signals available at the airport. 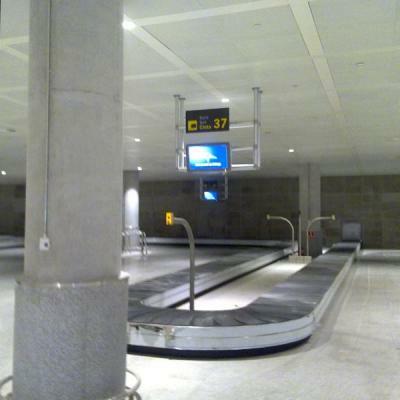 Picture of the new departures hall at Malaga airport.